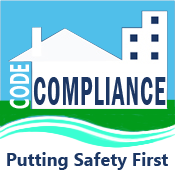 The Department of Community Standards & Code Enforcement promotes a safe and desirable living and working environment in Dundee by enforcing local Building, Zoning, and Public Nuisance Ordinances. 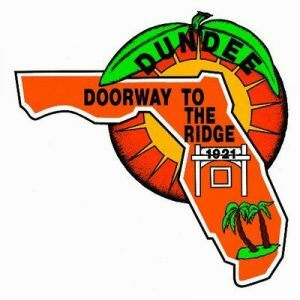 Community Standards is responsible for enforcing the codes of the Dundee Town Commission which address public health and safety issues, including regulations related to rubbish, garbage, specific nuisances, removal of vegetation, zoning, housing, dangerous buildings, and inoperable and unlicensed vehicles on private property, signs, and farm animals. The Community Standards Department proceeds with enforcement actions both proactively and in response to requests for action received from citizens. The Department works to maintain and improve the quality of the Dundee community by administering a fair and unbiased program to correct violations of municipal codes and land use requirements. Who Are The Community Standards Enforcement Officers? An enforcement officer is any Town employee or agent of the Town with the authority to enforce any provision of the Dundee Property Maintenance Code, Land Development Code, and Town Ordinances. The code enforcement division currently consists of one code officer. General enforcement practices include direct citation of violation upon observance or verified complaint. Warnings or contact before issuance of violation are not part of the general enforcement practice. Code Enforcement in the Town of Dundee is primarily a complaint-driven process, but violations that are noted by Town Staff will be proactively investigated and considered for enforcement action on case-by-case basis. An inspection is scheduled within one to five business days. If the complaint cannot be verified upon inspection or a period of investigative monitoring, the case will most likely be closed. If the Code Enforcement Officer determines the violation is valid, they will take photographs and make notes to document what they witness and send notification. A formal written Notice of Violation (NOV)/ Notice of Hearing (NOH) will be prepared and mailed to the property owner and/or resident(s) within a reasonable period of time after the initial investigation. Once the NOV/NOH is received the respondent has 7 days in which to bring their property into to compliance. If not brought into compliance at the end of the 7 days, the case will be placed on the agenda for the Special Magistrate listed on the NOV/NOH. If full compliance occurs during the time frame listed on the NOV/NOH then the respondent will not have to attend the Special Magistrate. If the property remains in violation, or complies after the time frame listed, it will be placed on the Special Magistrate agenda, and possible fines and liens can be imposed. A repeat offender of the same code violation is an automatic fine and lien from the first day its observed at five hundred dollars ($500.00) per day; a repeat offender is defined as being a respondent who has previously had their case adjudicated. The fines levied by the Special Magistrate, constitute a lien against each lot or parcel of land upon which the violation existed and any other property that the property owner owns. Every case that goes before the Special Magistrate is subject to cost of prosecution. The cost of prosecution is not a fine or a lien, but an mandatory administrative assessment per Florida Statute 162.